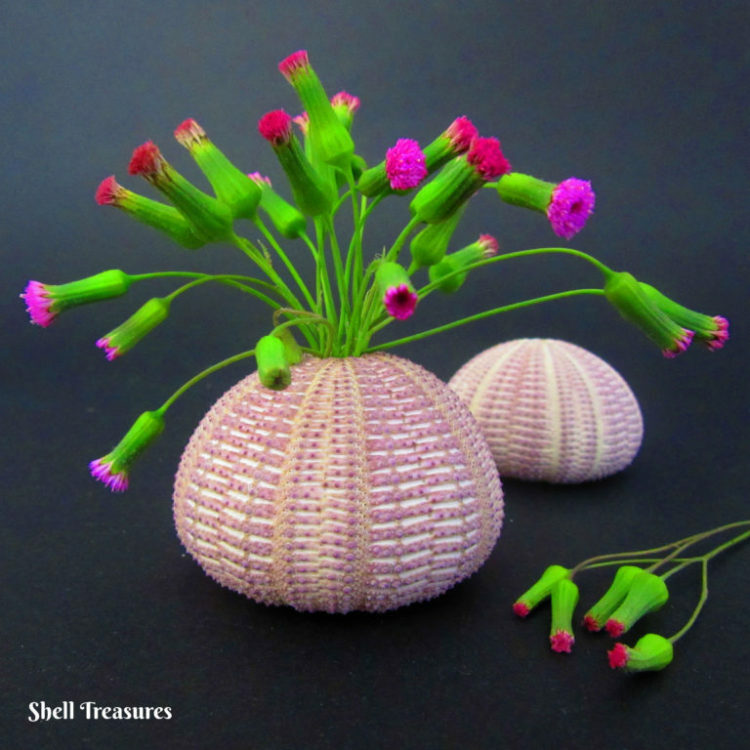 (4 PICTURES)… Purple sea urchins make perfect vases for cute little purple flowers from the garden. 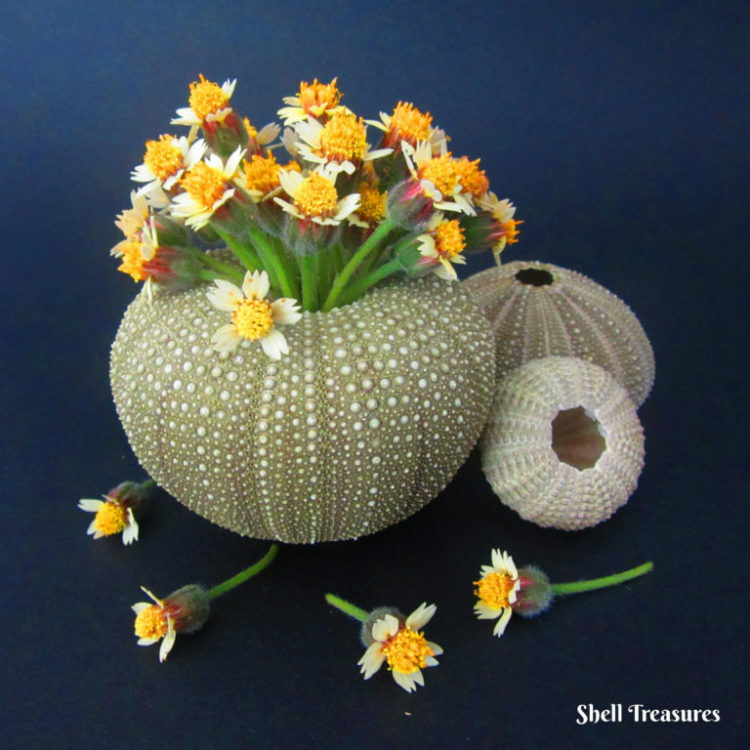 (4 PICTURES)… Green sea urchins make perfect vases for tiny yellow flowers from the garden. 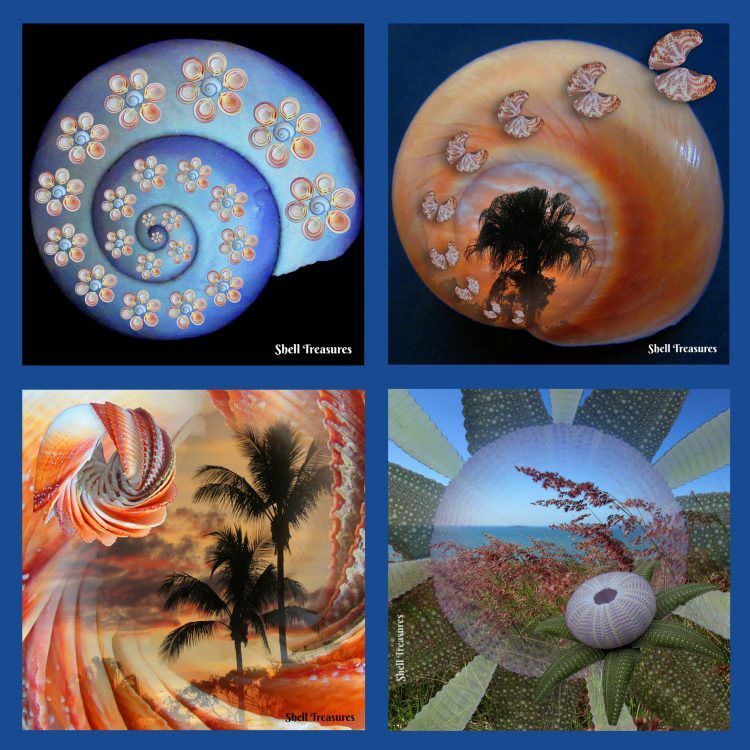 (3 PICTURES)… Spiral and floral designs on the beach, including an oyster blossom and a desert flower. 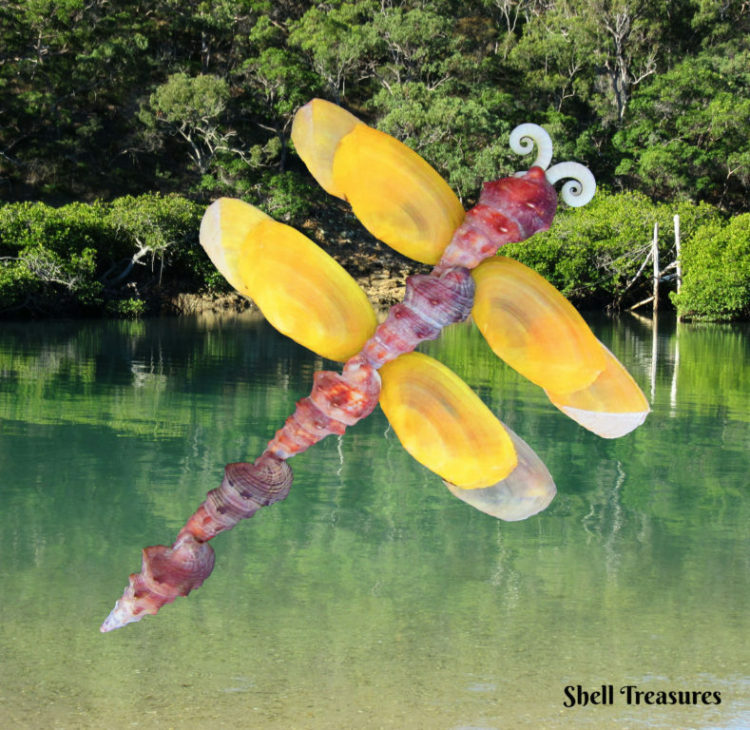 (3 PICTURES)… Most bivalve shells form perfect wings, to shape butterflies and dragonflies. 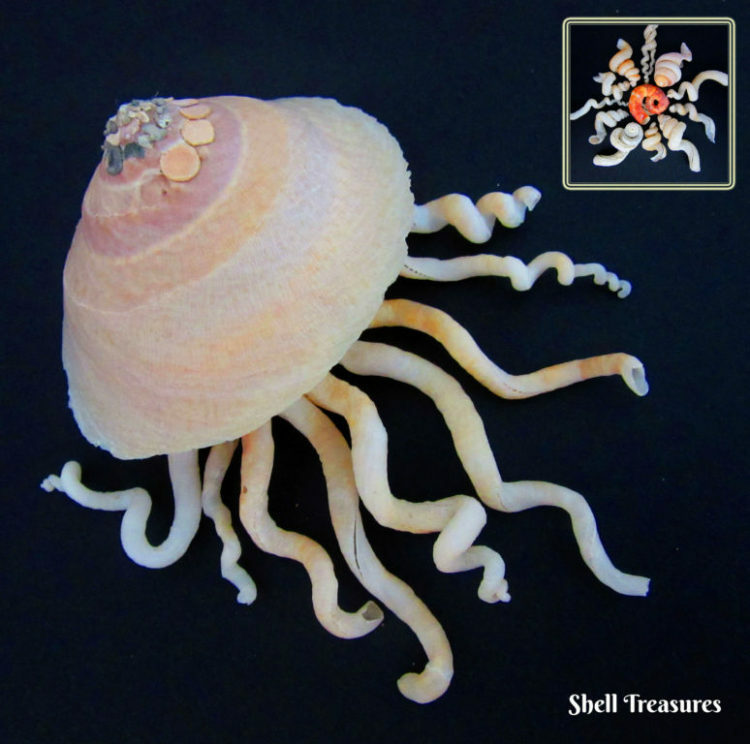 In this case, the wings are flat, large, bright yellow bivalve shells, and very beautiful. 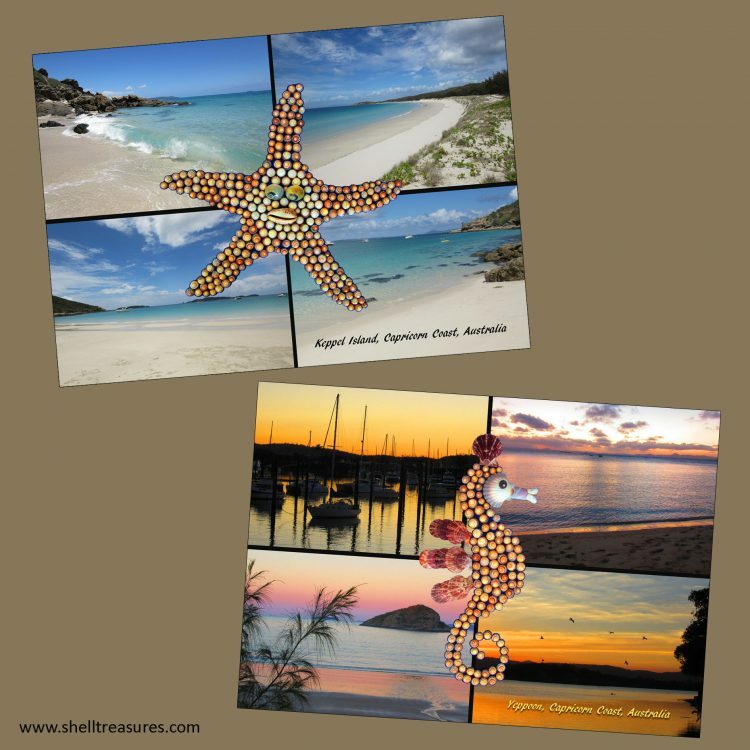 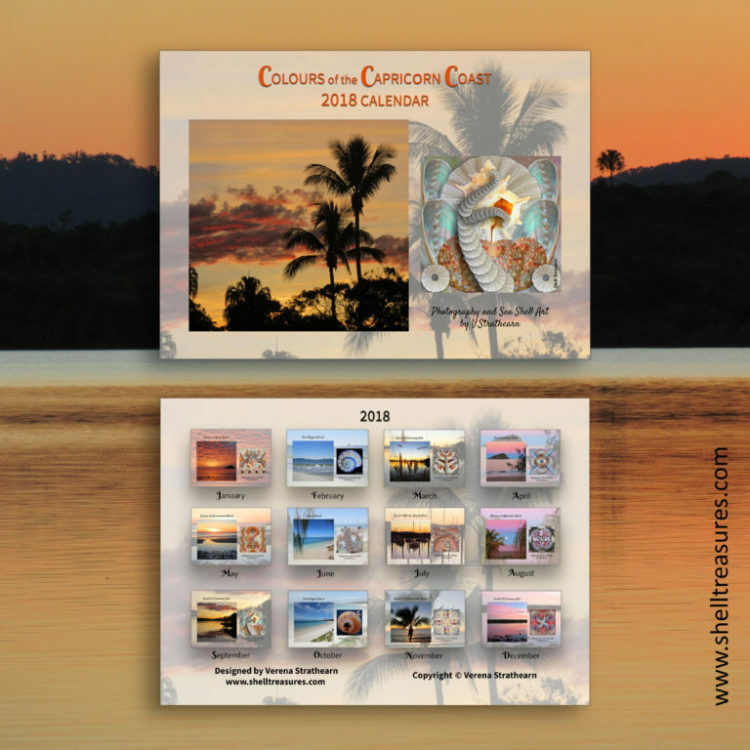 (2 PICTURES)… Colours of the Capricorn Coast 2018 calendar, now available from www.etsy.com/shop/shelltreasuresstore . 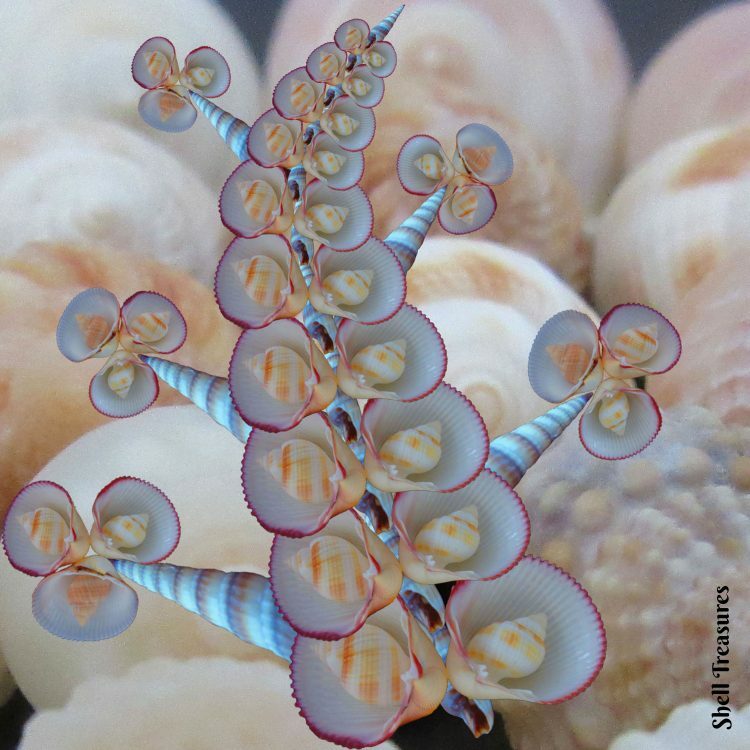 (2 PICTURES)… A golden crown for the marine snail kingdom. 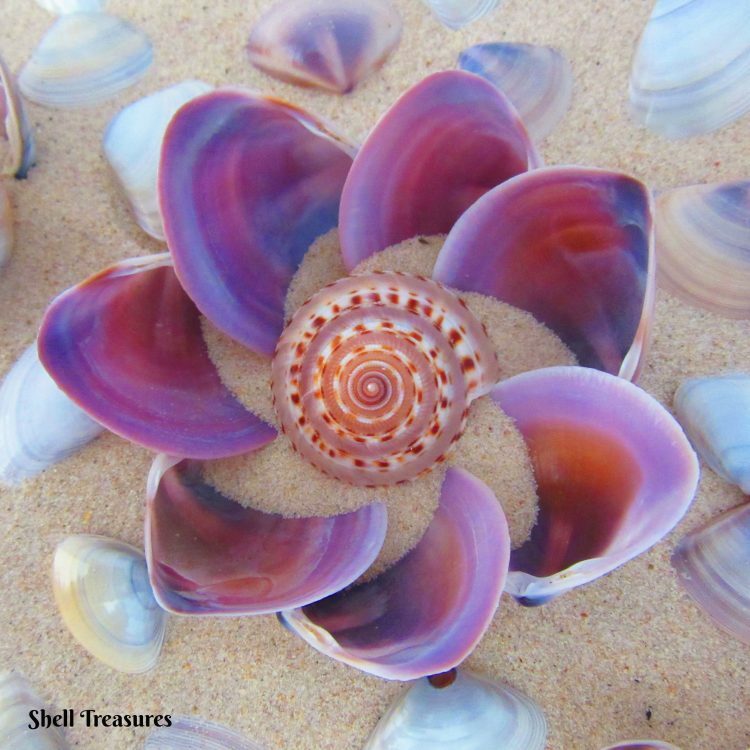 (3 PICTURES)… The sand lily, created with purple bivalve shells and a sundial in the centre. 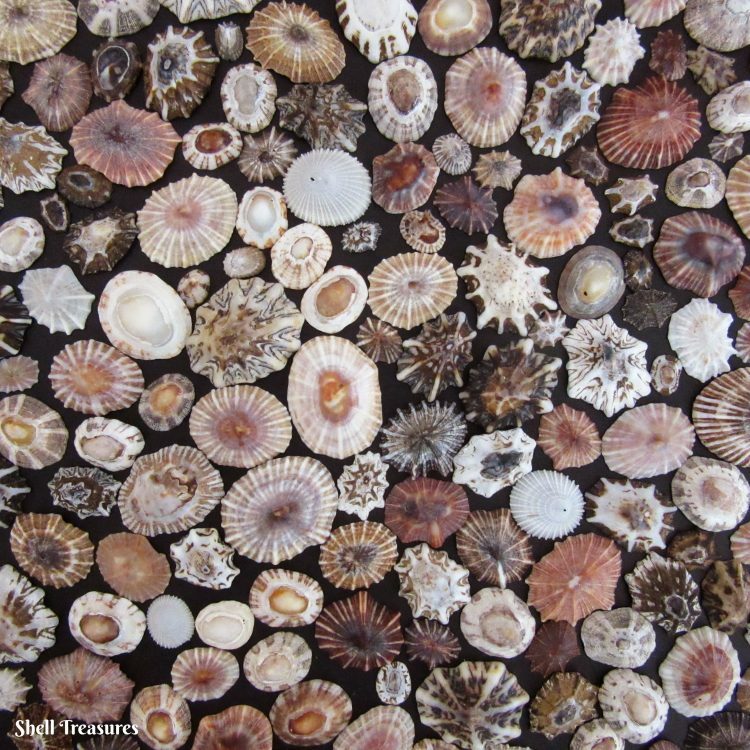 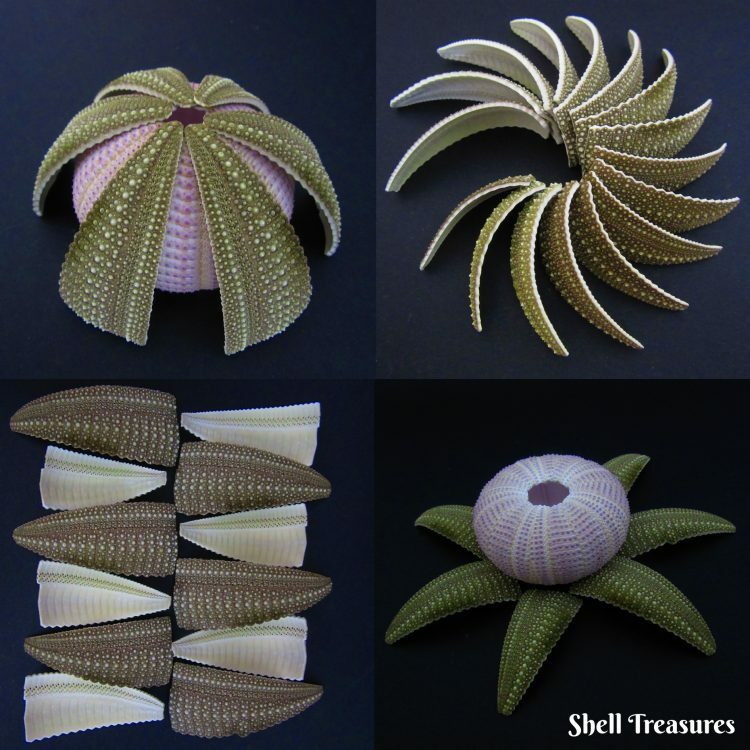 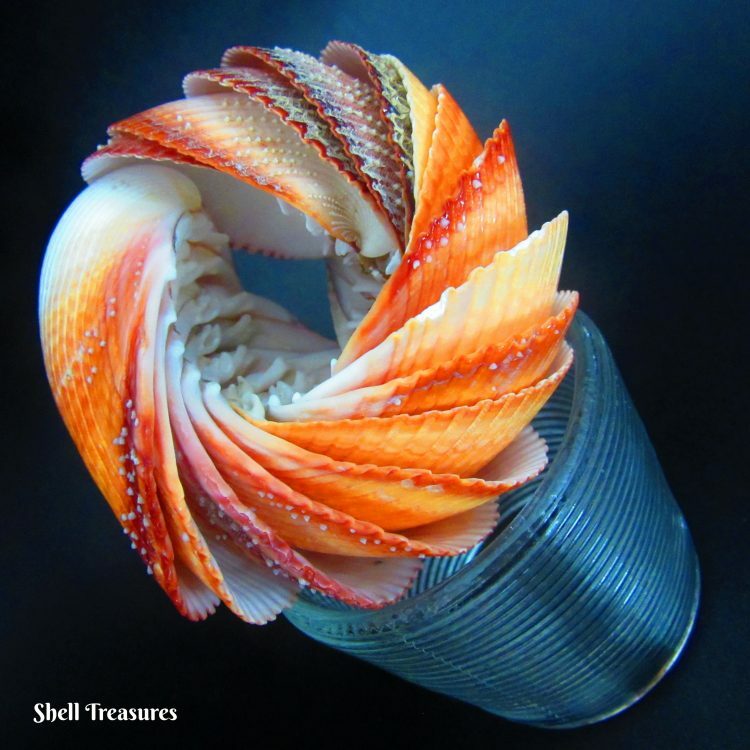 (4 PICTURES)… There’s an amazing and beautiful variety of Limpet shells. 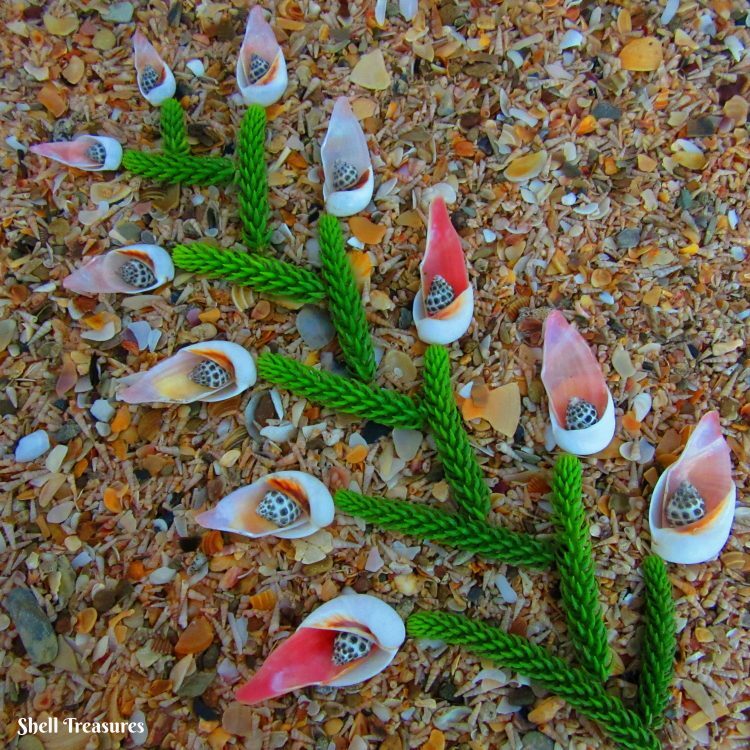 They are herbivores and live on rocks where they scrape off algae at high tide, for food. 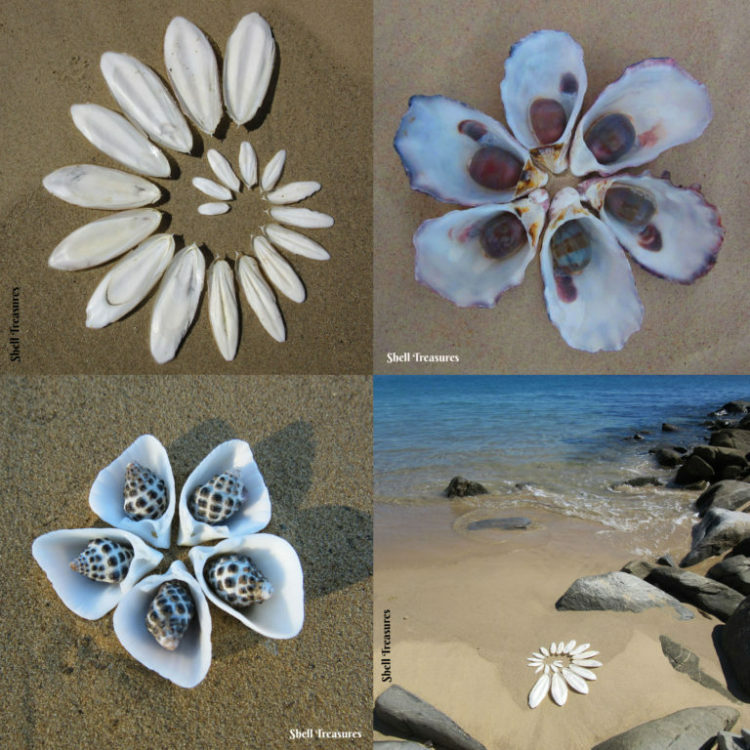 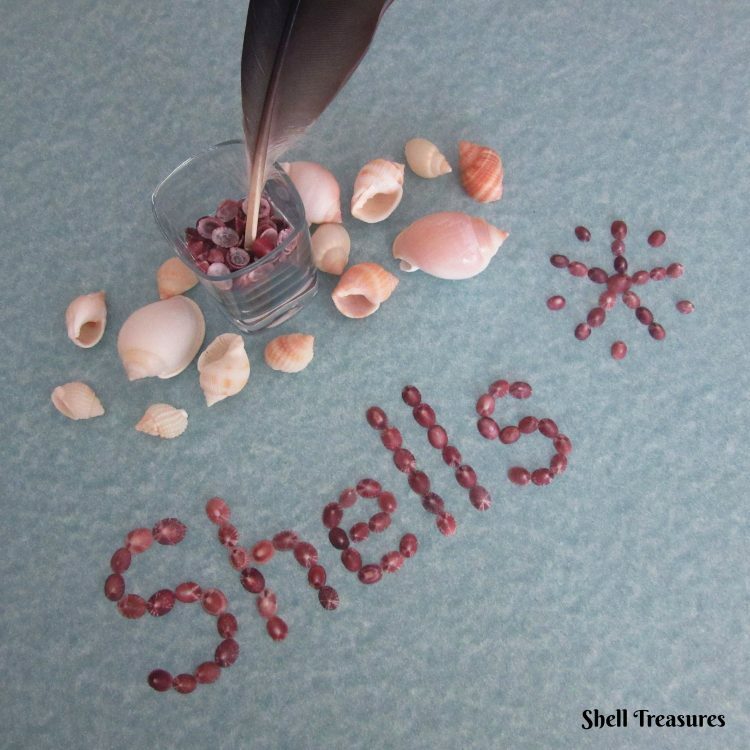 (3 PICTURES)… Little treasures from the beach transformed into blossoms. 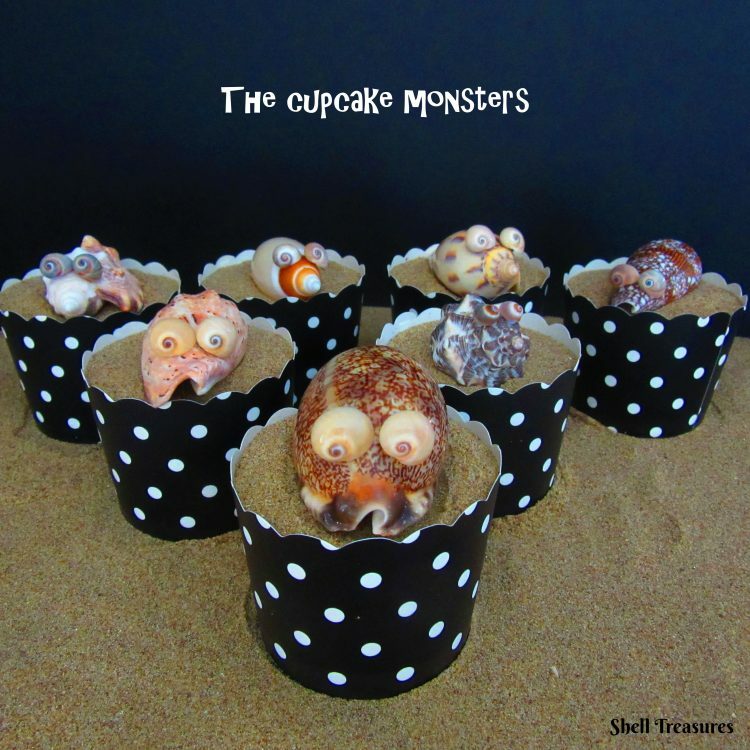 (3 PICTURES)… Cute little monsters watching over their beach sand cupcakes. 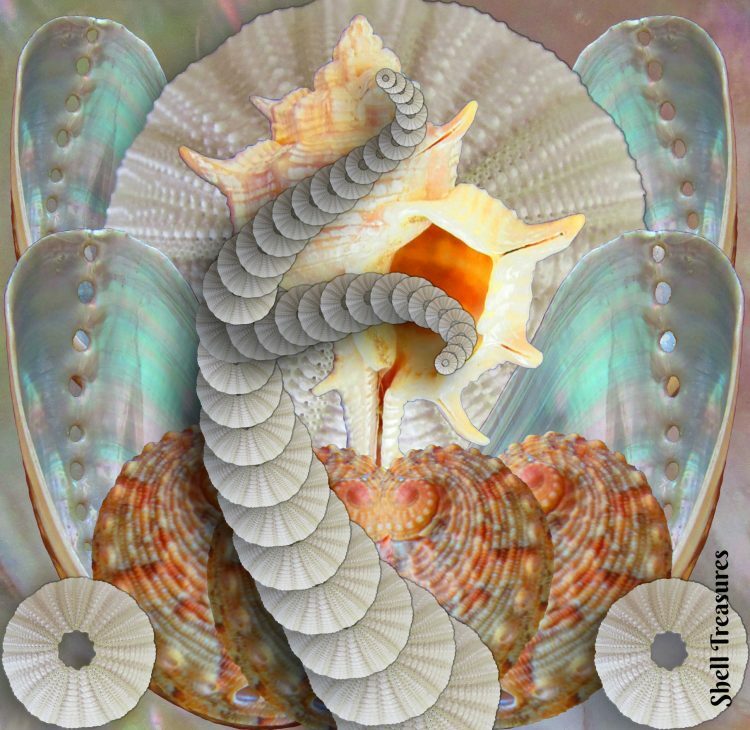 (1 PICTURE)… The Sundial seashell is also know as “winding staircase shell”. 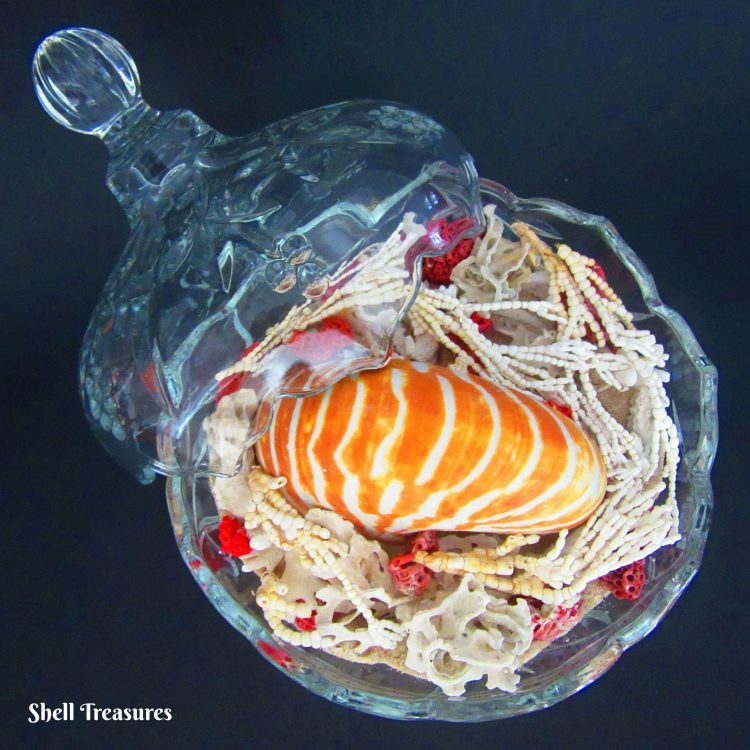 It’s mollusc (marine snail living inside) even has teeth for grazing on coral and sea anemones. 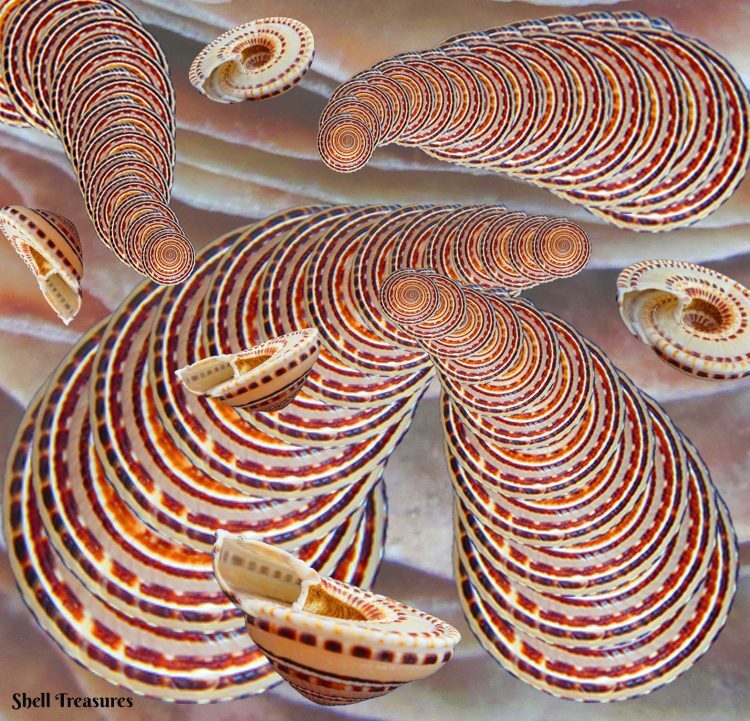 (1 PICTURE)… An abstract sea shell design, with a hint of purple and interesting stripes. 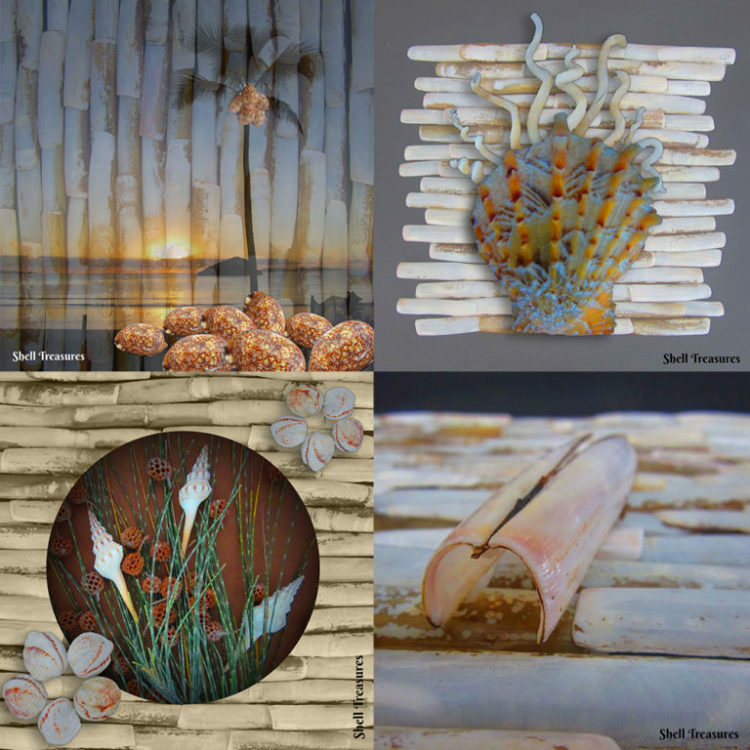 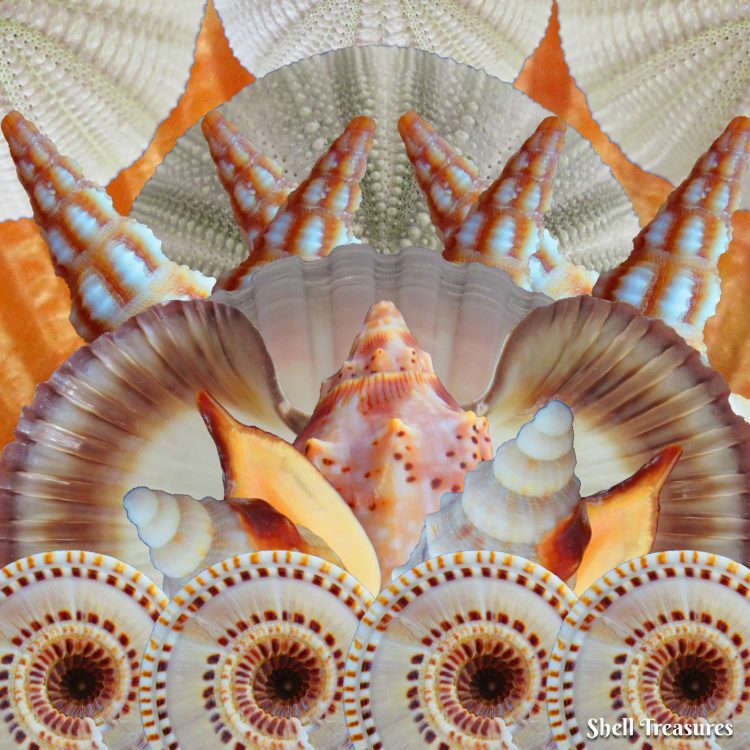 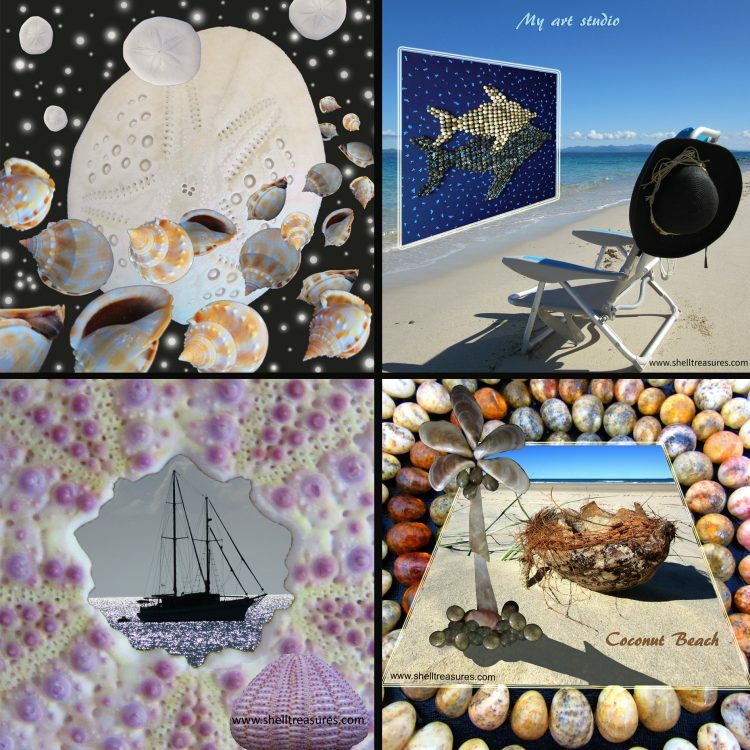 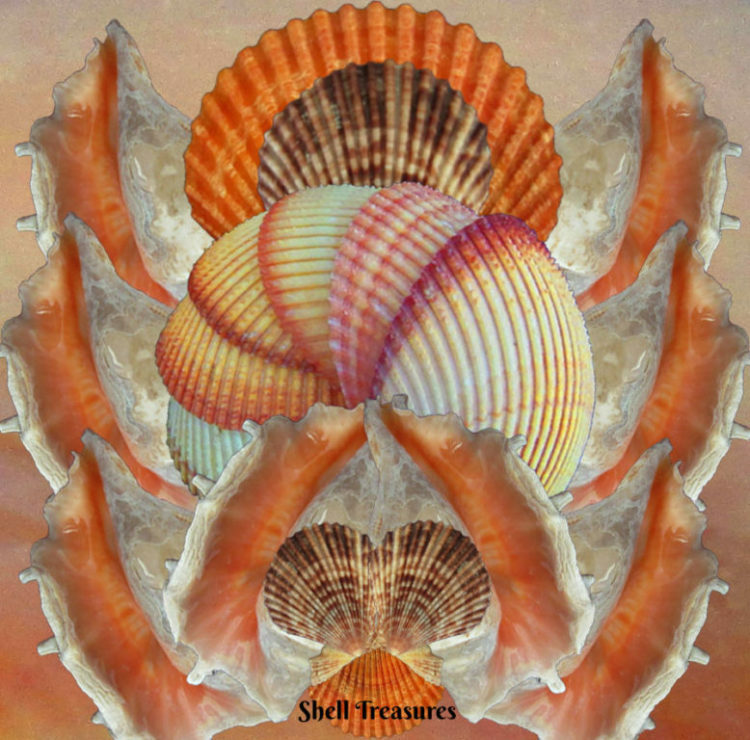 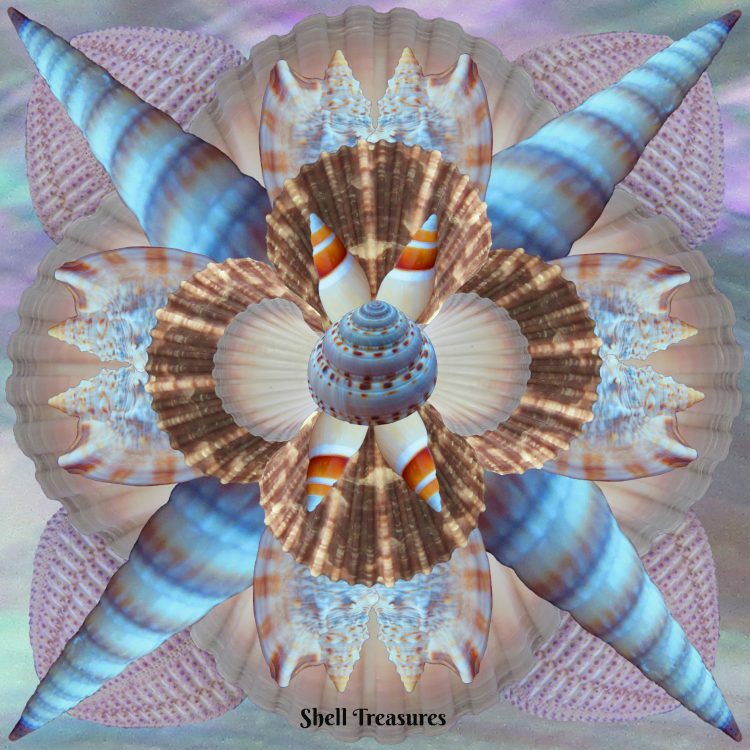 (4 PICTURES)… I have mixed sea shells with my photography and applied a little magic, to create pictures of space, my studio, the ocean and the beach.